As one of today’s leading content management systems, WordPress is popular among bloggers, brands of all sizes and businesses in various sectors. To get your site noticed and to the top of search engine rankings, these are some the key strategies that you should employ. The design of your site is the first thing that visitors will notice, so it is important that you invest in a great template or theme that is not only pleasing to the eye but also ensures a great user experience. To choose the right theme for your site, there are several factors that you should consider. Mobile Responsiveness. A third of internet users browse the web on their smartphones, so it is no longer optional to have a responsive website. Additional Features. Make a list of the features that your website will need and be sure to find a theme that supports them. These features include e-commerce and translation support. Loading Time. The majority of users will abandon a website if it takes longer than two seconds to load. Therefore, it is best to choose a simpler template to ensure that it loads quickly. Suitability to Your Brand. Ensure that your theme communicates what your brand is about. For example, artist portfolios should be highly visual while professional brands such as accounting firms should look for more minimalist themes. Look for High Ratings and Good Reviews. When browsing themes, pay close attention to what users are saying about them. Only consider downloading themes that have high ratings. Consumers prefer to learn about a company or brand through custom content rather than advertisements. It is therefore, important for your site to publish valuable content that serves to educate your visitors rather than sell to them. The success of Mint, a hugely popular personal finance app, illustrates just how important it is for a company to develop unique and valuable content to attract business. In its first two years, the company acquired over 1.5 million users thanks to its personal finance blog, which hosted a wide range of articles that addressed the needs of young professionals (the target audience for the app). Its blog content, which included infographics and in-depth financial advice, became popular on social networking sites and news feeds such as Reddit and Digg. Without any advertising, Mint’s blog was able to establish the brand as a reliable advisor. When the app was launched, there was already an audience of millions who trusted the brand and were eager to download its product. The better quality of content you post, the more enthusiastic response from your readers. If you produce unique content that is useful for your target audience, you can expect them to promote your brand by word-of-mouth – similar to the way in which Mint engaged its readers. With content marketing leaders seeing nearly 8 times more traffic compared to followers, it is important for your blog to feature plenty of unique content regularly. Be sure to use a wide variety of content to give your audience different options. Reviews, videos, news, infographics, industry commentary and tutorials are just a few ways you can engage your visitors. The more often post on your site, the more traffic you’ll receive. Companies who published 16 or more blog posts per month receive over threetimes more traffic than sites that post just once weekly or less. Therefore, it is ideal to ensure that your WordPress site is updated at least four times a week. Facebook – It is advised that you post once or twice a day on Facebook. Posting at m. will encourage more shares while posting at 3p.m. will encourage more clicks. Twitter – Posting at least four times a day is ideal for local companies and 15 times a day is best for brands that want to reach multiple time zones. LinkedIn – Content should be posted to attract professionals on their lunch breaks around midday or just after work between 5p.m. and 6p.m. Pinterest – Saturday between 8 p.m. and 11 p.m. is when users are most engaged on this social network. Instagram – This social network has the most consistent rates of engagement with only a spike in activity on Mondays. 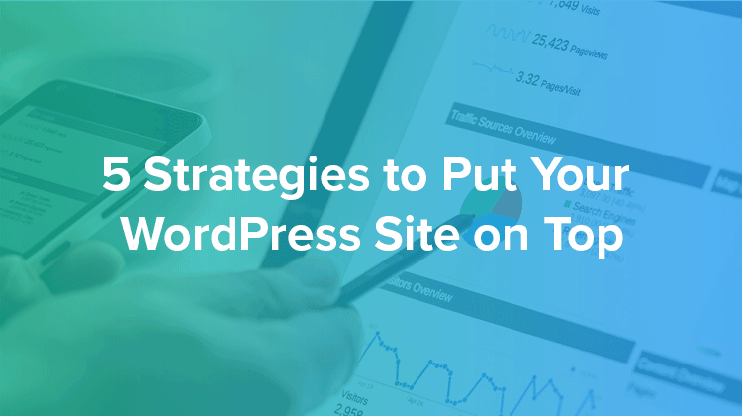 Yoast – This is one of WordPress’ most downloaded plugins, as it provides everything you need to ensure that you’re making use of the best practices for SEO. You can optimize the content of your posts, tag pages and ping search engines when you update. Broken Link Checker – This plugin detects any broken links and automatically fixes them. LinkPatrol – LinkPatrol is a plugin that lets you monitor how much link juice each outbound link on your site is generating. Rel NoFollow Checkbox – This plugin allows you to easily make external links nofollow. SEO Friendly Images – You can automatically update all images with the proper Alt and Title attributes which are important to SEO rankings. Website owners cannot ignore the important impact that cybersecurity has on their search engine rankings, reputation and conversion rates. Displaying security indicators on your site and employing strict online security measures when maintaining your site lets your audience know that they can trust your brand. Only 11 percent of internet users will visit a site again after receiving a security warning, so it is important that you prioritize the safety of your visitors. Use a Virtual Private Network (VPN). When uploading any data to your website, ensure that you use a VPN to encrypt the information. This will prevent anyone from gaining unauthorized access to sensitive information you have stored on your servers. Practice Password Safety. Ensure that you use strong passwords and that allthe accounts connected to your site have different passwords. This is another behind-the-scenes task that your readers won’t necessarily know about.This will, however, add an extra layer security that will prevent them receiving security warnings while on your site. Buy aSSL Certificate. Google has made ‘https’ a ranking signal, so this will help your blog climb the search engine rankings while providing readers with the assurance that your site is safe. Simply purchase an SSL certificate from a provider like Thawte, GoDaddy or Digisign and add the code into the .htaccessfile of your WordPress site. Get a Trust Seal. Surveys indicate that over 60 percent of people will refuse to purchase a product from a site that is missing a trust seal. McAfee, VeriSign and PayPal are some of the most trusted badges and can help you improve conversions on your site. Purchase a seal from one of these providers and paste the code onto your site wherever you would like the seal to be displayed. It is best for it to show up in the footer on every page of your site. Automatic Updates. WordPress is constantly working to improve the security of the CMS to keep webmasters and visitors safe. It is advised that you update your CMS as soon as a new patch is released to ensure that you’re well-protected against security risks. Getting your WordPress site noticed and thriving can be a long process, but it’s worth the hard work. By improving your site’s security, content and design, you can establish a wide-reaching online presence for your brand. Author Bio – Faith is a WordPress user, online blogger and cybersecurity specialist. She has a passion for web design and development, and wants to let webmasters in on her strategies for creating quality WordPress sites.